From private wildlife tours and ski free packages to romantic sleigh rides and hand crafted, custom built skis, the Four Seasons Resort Jackson Hole offers a mountain of tempting winter adventures this season. Offering an action-packed winter getaway, Four Seasons Resort Jackson Hole’s Winter Adventure Package features a four-hour private wildlife tour providing guests the unique experience of observing animals in their natural habitat, a day trip by snowmobile to Granite Hot Springs for a soak in the restorative thermal waters, and a day of skiing on the legendary slopes of Jackson Hole Mountain Resort. Four Seasons Resort Jackson Hole’s popular Ski Free Package is offered throughout the season featuring two complimentary three-day ski lift tickets to the renowned Jackson Hole Mountain Resort with a five-night stay, and includes ski and boot rentals through its full-service Ski Concierge. Exclusive to Four Seasons Resort Jackson Hole, the Ticket to the Tetons package outfits a guest with a pair of Igneous hand crafted, custom built skis designed by avid Jackson Hole skiers. Guests booking the package will be introduced to Igneous head engineer, Michael Parris, who will work with the guest prior to arrival to create his or her custom skis. The package also features a four-night stay in one of the resort’s luxury one-bedroom suites and includes a three-day lift ticket for two and a day of skiing with a private guide on the celebrated slopes of Jackson Hole Mountain Resort. The package must be booked 60-days in advance. Ideal for couples seeking a relaxing winter retreat, the Bed and Breakfast Package at Four Seasons Resort Jackson Hole includes breakfast for two in Westbank Grill and access to the resort’s famous alpine inspired Health Club and Spa, as well as its Base Camp concierge team who will create custom itineraries offering everything from romantic sleigh rides for two, to skiing or hiking through a winter wonderland of trails. In addition to the packages above, Four Seasons Resort Jackson Hole’s Base Camp Concierge have access to the area’s most unique and desired activities and will work with guests to create custom itineraries. 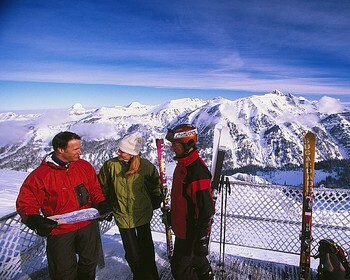 For rates, package availability dates and reservations, visit www.fourseasons.com/jacksonhole or call 800-914-5110. Four Seasons Resort Jackson Hole is the area’s only 5-Star, 5-Diamond property with ski-in-ski-out access. The resort features exceptional service and 124 stylish and comfortable guest rooms and suites, each appointed with a fireplace and private terrace, and 33 private residences ideal for families and large groups. The resort also boasts three restaurants serving hearty cuisine using locally grown ingredients, an outdoor pool where s’mores and hot chocolate are served during the winter months, a dedicated indoor “Kids Club,” fitness facilities, a full-service alpine spa, and its signature on-site Base Camp Concierge, providing guests with information, ideas and equipment for a host of winter outdoor activities.